THE FOLLOWING IS SPOILER FREE! YOU’RE WELCOME! Some say lightening rarely strikes twice when it comes to sequels. But even with a concept like “Guardians of the Galaxy,” you would think there wouldn’t be that big of a fanbase. Considering how much love there was towards the first one, especially making it, another adventure with the ragtag of anti-heroes was inevitable and I couldn’t be happier to say it comes close to being better than the original. So what quest lies for our heroes? Well, without giving too much away, each member finally comes to terms with the term family and the meaning behind it. If the first film was about how they met and why they relate to each other, this one goes deeper. The characters and even us understand just crucial they are to one another. Peter Quill aka Star Lord (Chris Pratt) has to deal with the realization of who is father truly is. An entity named Ego (Kurt Russell) finally meets up and we get a sense these two have a bonding father and son relationship. I like how we get an idea of how Peter’s father means to him, but there is a sense of something questionable here. Peter has lived a long time without a father figure, so how would he take to heart someone whose never been there for him? The basic thought of emotions play until Ego’s true persona that is shocking and unique at the same time. While they both share similar qualities, they are far different from each other in many ways. Also on the sideline, Yondu (Michael Rooker) is having a hard time coming to terms with where he stands. His crew of scavengers feel he’s not gritty as he once was while the Captain himself wonders if he can change his ways. A crucial highlight is when the blue skinned blighter has to reluctantly team up with the “equally heartless” Rocket Raccoon (voiced by Bradly Cooper) as the two come to terms with themselves. Both of them can’t stand each other, but find they are the same person from the inside out and have to know what matters to them the most. Elsewhere, Drax (Dave Bautista) and Gamora (Zoe Saldana) have their own troubles. The green warrior has sibling rivalry issues to handle while the big muscle head himself is still trying to find a way to belong. While Gamora has to come to terms with her broken sisterhood, Drax finds companionship in the strangest way in understanding his poor ways in socialization even when he tires. And of course, I can’t forget Baby Groot (Vin Diesel) who is a new reincarnation of everyone’s favorite walking tree. This time around, he starts life anew and has to understand its harness along with it. Thankfully, this toddler variation doesn’t outstay its welcome and knows when to chime in at the right spots. A big surprise to the table is the addition of a new character named Mantis (French actress Pom Klementieff). This bug-like creature has the ability to feel and manipulate emotions while also trying to understand how complex human beings really are. There is a level of comedy and drama to this character which make her a nice addition and clear scene sealer. Then again, her scenes with the misunderstood Drax make for the best moments in this sequel. I’d go into deeper details of the story, but I feel its best for you to see “Guardians of the Galaxy Vol. 2” yourself. James Gunn returns in the writing and director’s chair giving us a world that is unlike ours and yet similar in many ways. From hot topics like creation to lost fatherhood, Gunn really channels how complex the human race can be with these characters. And for someone to take on such a difficult issue and tell it through these anti-heroes we love so dearly, I congratulate him for doing so. There’s much humor, action and plenty of color to behold. Dare I’d say, its literally more colorful than the first film when we see the multitude of planets and how their different races run. All I have left to say is that “Vol. 2” will certainly give a run for its money how much it tops not just the first, but other classics like “Wrath of Khan” and “Empire Strikes Back.” I maybe overdoing it, but I personally feel it deserves to be up there with those sequel classics. “Doctor Strange” is a movie that truly lives up to its title. This is a strange entry in the Marvel Universe, but a unique one. Of all the superheroes, he is the only one who can walk through different dimensions and bend reality. With a movie adaptation out, the possibilities seem endless for a character like this. Of course, the usual origins route has to be done in order to understand who this person is. Chances are if you can get through that, you will have a good time. Benedict Cumberbatch plays Stephen Strange, a neurosurgeon with a high ego yet maintains a lot of ambition. This is proven after a car accident renders his hands useless as he tries to find a way to restore them. An incident like this proves just how far his character will go to save his reputation along with his usefulness. His knowledge of medical procedures show his understanding for the human mind physically but doesn’t have a mental grasp. His journey leads him to a place in Napal where he learns a group of people might know how to cure his injured hands. As it turns out, this is really a coven of sorcerers who protect the world from evil. Sounds basic on paper, but when you get into the belief system and different spells, “Doctor Strange” starts to become more theoretical. Strange, himself, is more equip with knowing the world as he sees it; through scientific measures and practices. The journey into the place of sorcerers give off a belief vs. fact argument as Strange questions if his traditional methods are more powerful than magic. However, a character named the Ancient One (Tilda Swinton) proves the importance of mystical belief over science. Or at least the two can be one in some way. She proves useful in showing her new accomplice how vast the universe is within secret and odd ways. I liked how the calmness of this character really defined her. True, this is the usual master with knowledgeable ways, but an interesting one. The moments that made her stood out was when she argues with Strange’s faith. My only nitpick is they try to put in this twist about how she might be deceiving her followers which felt a tad unnecessary. I say that because the main conflict of the plot doesn’t seem to have much room for it. A group of rebels, led by Dannish actor Mads Mikkelsen, who plan to unleash a monster from a darker dimension in hopes to take over the world in some way. But even the good vs. evil aspect feels a tad underplayed when we are exploring this new realm and the possibilities of traveling between space and time. Once we get to the zealots and their grand plan, it almost feels like a footnote after scenes of Strange training and learning about the new world along with its powers. These effect-heavy scenes were more interesting than the villains as it proves the biggest eye-candy of the movie. We get treated to Strange traveling briefly through different dimensions (almost an homage to the vortex of light in Kubrick’s 2001), jumping through self-made portals and exploring more the sorcerer culture. When it was exploring this bizarre world of magic and mind over matter, it got interesting. But when it picked up and got back to the villains, the plot turns into your basic “whose the real bad guy” scenario. On the bright side, it makes for a good excuse for intense action scenes that even push the limits of “Inception” and “The Matrix.” “Doctor Strange” goes further by having the sets actually move like the twisted gears of a clock or a puzzling Rubix cube. Between the fist fights, whole buildings and roads twist and roll around and it only gets bigger once we draw down to the climax. Unfortunately, if you took away the amazing effects, all that would exist is clunky fight scenes. The added sets that constantly move at least add tension and a dream-like feeling. “Doctor Strange” is once again another step in the right direction for Marvel. They already proven before that they can do more than just superhero movies. “Strange” shows Marvel can channel any genre into their heroes and fly with it. The only flaws I do have to nitpick, which keep me from saying this is their best, include some odd pacing and the handle of the material. In the first 20 minutes or so, the tragic backstory goes immediately into the training and the final third immediately launches itself into the typical good vs. evil battle. And I understand newcomers need to understand key terms in this odd world, but even they break the aspect of telling as opposed to showing. Characters keep mentioning about this massive creature which might destroy the world, but makes the mistake of talking instead of giving us an idea of this being’s power. When we do see this god-like creature, there’s not a sense of menace because we didn’t see this thing or action or understand its motive. I must also tag on that despite the PG-13 rating, this is not a movie I would recommend for younger viewers. I would dare say this is one of Marvel’s darkest movies in violence and tone. From surgical procedures to a beheading seen in shadow, I’m honestly miffed at how this got away without getting an R rating. On the other hand, what we see is not too graphic to upset, but when you have talks of surgery on the spinal cord and scenes with out of body experiences, this might be something not for kids under 9 or 12. Parental guidance is strongly suggested for this entry. Although, I can look past the flaws and say “Doctor Strange” was a fun ride. Full of imagination and creative fantasy, I once again find myself wondering what else Marvel has up its sleeve. 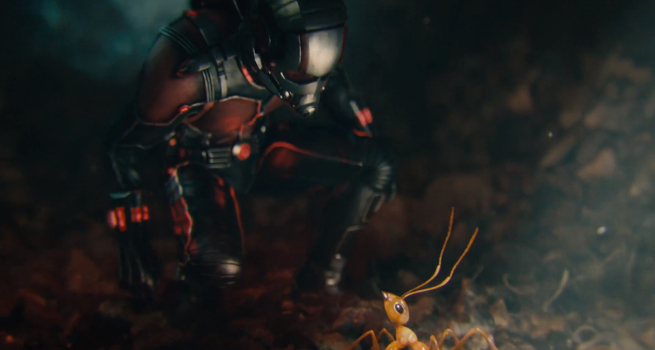 After traveling through space in “Guardians of the Galaxy” and the world of the small in “Ant Man,” “Strange” goes beyond the realm and even delivers, what I hope, a possible new franchise. One I even predict will be bigger since “Iron Man” made its debut. If not, at least it was a good start to the holiday season. zzzzzzzzzzzzzzzzzzz…..no, I didn’t hit anything on accident. That is how I feel about this one. I recall last year seeing a high school performance of the “Beauty and the Beast” musical with a friend of mine. It was a study for play performances and this was a last minute choice. Let me tell you, everything looked like an Ed Wood movie. 75% of the cast wore wigs, 75% of the cast was mostly female and the beast costume looked like the Cowardly Lion’s twice removed cousin. But you know what, it was entertaining. Something about seeing the cast trying to perform under all the bad make-up and cheap sets was far more entertaining then the junk I had to see today. The plot (that is if you can call it one) involves a science prodigy named Reed Richards (Miles Teller) who creates a machine in his garage that transports matter to another dimension. A scientist named Franklin Storm (Reg E. Cathey) notices this at a science fair Reed attends and uses not just the machine but Reed’s skills to perfect his similar creation. The craft in general looks like a bunch of radioactive barrels with two solar panels hovering above it. This is only a sample of how “fantastic” the look of this movie gets. 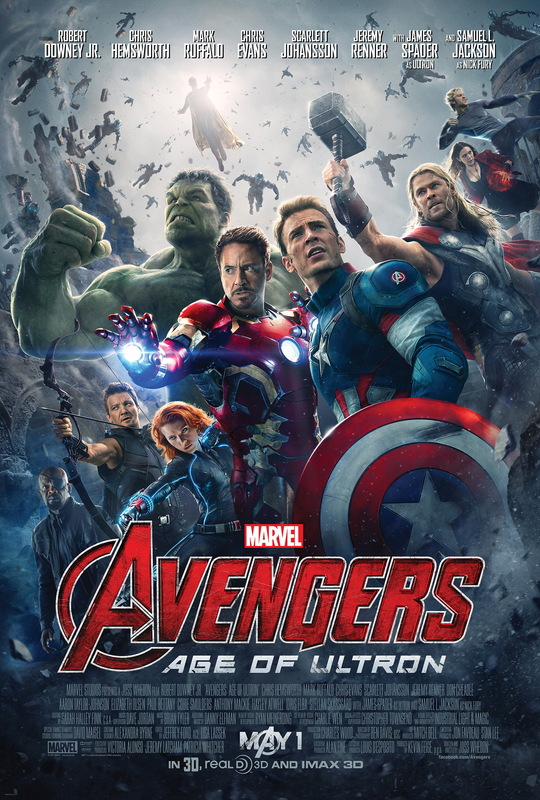 Upon learning some government executives plan to send other scientists in, one of the creators Victor Von Doom (Toby Kebbell) convinces Reed and two other colleges to be the first to try it out. As one would expect, mayhem ensues with them gaining bizarre abilities after their disastrous visit. Again, its hard to say if there is a real story here as the rest of the movie has our main characters cooped up in an army bunker as Reed and the survivors of the accident are coaxed into working for the government. The story as a whole meanders so much it makes me wonder how can you not deliver a single storyline with something like this. Then again, the Fantastic Four adaptions do have a strange history of their travels to the big screen ranging from Roger Corman’s produced and (as of this review) infamously unreleased affair to Tim Story’s two films. It appears the idea of taking a team of people getting superpowers and using something with them could make for an interesting film. But only this latest reboot proves that executives and writers make it hard for themselves thinking there is no material to work with when their could be. Last year’s “Guardians of the Galaxy” worked by having no origin story and only focusing on how the team members got together while delivering a fun and unique ride thanks to James Gunn. “Fantastic” seems to focus on the main characters and where they stand but it doesn’t go anywhere until the last 30 minutes when an actual plot happens but its far too soon. Most of time, the team is being manipulated by an evil government agent (or a possible scientist. either way, he’s dressed like an evil government agent so why not? Also he is played by Tim Blake Nelson) or trying to pick around for something to do. It appears there are ideas for spin-off films here and there as Ben Grimm (Jamie Bell) is off fighting in other nations in news reports, Reed Richards is playing “Borne Identity” in Panama while trying to find a cure and Victor is very much forgotten in the other dimension until the last half-hour. The amount of space is at a waste. The biggest crime of all has to be the acting performances. Not a single human being in this movie emotes or even acts interested. Most of the time, everyone (and I mean EVERYONE) talks in a robotic manner while keeping a hush tone. I barley remember a moment when one solitary person gave a smile or cared for another when in danger. Even the romantic chemistry between Reed and Sue Storm (Kate Mara) is interesting as toast as they try to share some interest of science but have odd John Hughes quirks. Some like Jamie Bell try but it feels like they know there is nothing to work with in a story that is so next to nothing. Reg E. Cathey gets a much deserved examination for how that actor never breaks his dull performance. I guess he’s trying to be Samuel Jackson-ish by being serious and dead pan. But when he carries this trait throughout the whole movie, it makes me want to cut every scene he is in to avoid such an annoying delivery. When words came out his mouth, I wanted to sleep. Even more bizarre is the tone as the opening of the movie is reminiscent to Joe Dante’s “Explorers” as young Reed and Ben try out the homemade dimension jump device but then things keep changing throughout. First, it tries to be a serious science fiction movie then cranks up the intensity in spots that look more brutal than passable for viewers when its not needed. Sure enough, it all ends in a climax that looks vaguely similar to “Man of Steel” as Doom shows up and plans to somehow destroy both Earth and the new planet in the dimension. How can such a travesty be averted? They have a fight scene on the uninteresting, CGI laden set while throwing debris and junk at Doom. Its formulaic and doesn’t have flair. Again, “Guardians” had risk with Star Lord, Drax and Groot making their way to stop the villain who was floating his way down to the planet to obliterate it. For support, you had Rocket and a team trying to prevent the ship from touching the planet and Gamora trying to shut down the security system while dealing with her sister. Sounds complex on paper but those two sentences described an energetic, engaging, on the edge climax that build and builds. Once the big fight happens, it evaporates like celluloid dust in hopes the film will end sooner. 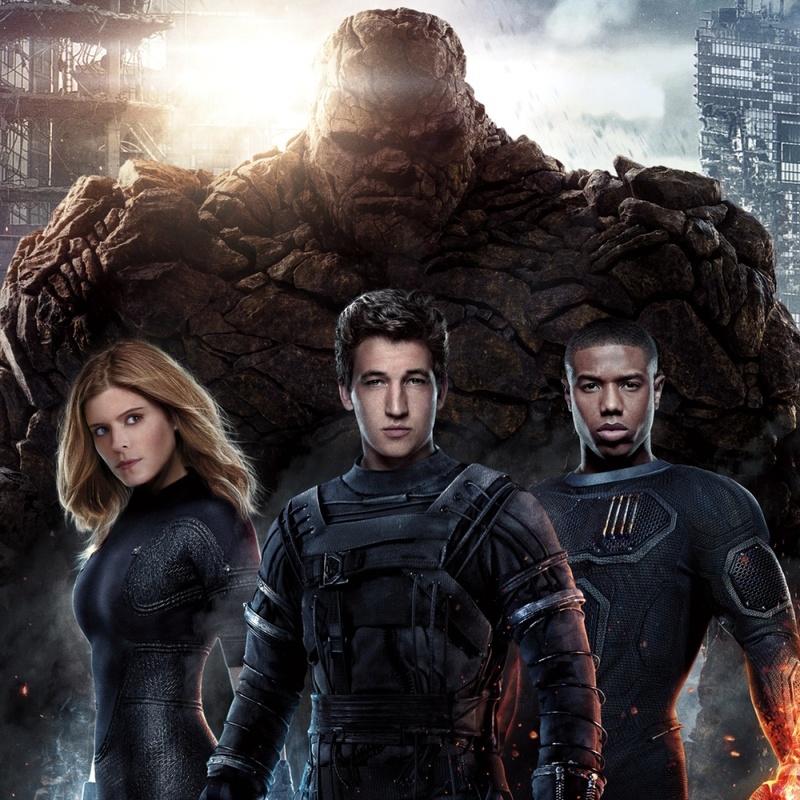 Even prior to the release, “Fantastic Four” has been slammed by fans for being inaccurate to the source by changing certain things like the Human Torch being portrayed by an African American and certain character relationships. Most strange is how Sue Storm is adoptive but is never fully discussed. Something that wasn’t elaborated on that lead me to believe Doom and Sue were siblings when they weren’t. It was just information that wasn’t heavily addressed. Still, that didn’t bother me as much but what really did was the workings of the script, the performances and the overall movie in general. Why bank on Doctor Who and Rick and Morty with dimension jumping? Is outer space not interesting enough? Because that is how our leads got those powers in the process with the exception of Doom getting his from a lab accident. I went in with an open mind thinking this movie would be ok but it turned out to be worse than I imagined. This is not an adaptation that reflects the source while giving viewers of new something to appreciate. It does the opposite by giving nothing to both parties in return. Even the character motives are standard and dull as an expedition to the new world is crafted from Doom’s drunk escapade as the evil government agent exploits the team for every other reason why this kind of guy would. Because this team has ultimate powers and as always in these kind of scenarios, the government wants control of that power. Yawn, yawn, yawn, double-yawn and deep sleep. I hope viewers who read this review are smart enough to see a more “fantastic” movie in the theater next door. At least “Howard the Duck” was far more inventive, creative and unique in comparison.